(Morning Star News) – The pastor of a church on Tanzania’s semi-autonomous Zanzibar Island was preaching earlier this month when a plainclothes police officer and local officials strode into the church service. The congregation of the Pentecostal Evangelistic Fellowship of Africa (PEFA) church in Kisauni, near the Zanzibar City airport, was gripped with fear that day (May 6) as the pulpit microphone picked up Bishop Daniel Kwileba Kwiyeya’s plea. The regional and local district commissioners ordered him to stop the worship service as the officer dragged him into a police car, said the church member, unidentified for security reasons. The local district commissioner slapped her and pushed her into the police vehicle, the source said. Other church members tried to intervene, in vain. Bishop Kwiyeya and his daughter were taken to the police station in Mazizini. The 160-member congregation went back into their church building and began praying for them. “No one can take away our faith in Jesus Christ – Jesus is always with us and is ready to help us,” a church elder told them. Congregation members later went to the police station, where the chief officer told them there were no charges against the pastor and his daughter, and they were released later that day. The incident followed an order to close the church after Muslim sheikhs from a nearby mosque complained that services on Sundays and weeknights were too loud – though the congregation does not use loudspeakers as the neighboring mosque does. On April 26, the regional and local district commissioners met with Muslim leaders on the church premises – without inviting the church leaders – and discussed the allegations that the church was becoming a nuisance to the community due to loud noise. The regional district commissioner then ordered the church be closed. The church did not comply with the order since leaders had not been given the opportunity to defend themselves, the source said. The church instead filed an objection with the regional district commissioner. Church members say the closure was a calculated move to weaken Christianity and do away with it in Zanzibar, off the coast of Tanzania, he said. “The worship by the church should be respected as it is guaranteed by the constitution of Tanzania,” the church member said. Area Muslims did not complain about noise at the church until it completed a worship building with a seating capacity of 500 people in February, he said. Previously church members worshipped in a tent. In March, authorities closed another church in Zanzibar when police pulled down the temporary structure of 50 iron sheets of the Free Pentecost Church of Tanzania in Kiwengwa, sources said. The congregation has yet to find another worship place. On Jan. 7, local government officials in Zanzibar Town gave no prior warning to church leaders before a bulldozer arrived and razed the building of Zanzibar Pentecostal Church of Jesus to make way for a state university. A Christian butchers in Mbeya, Tanzania. ‘Wakristu’ means ‘Christian’. “Our national policies are silent on who deserves to be a slaughterer. But we have experienced seeing Muslims as our animal slaughterers, mainly because they have been directed by their holy book to eat meat slaughtered by Muslims, while for Christians there is no such condition stating that meat must be slaughtered by a Christian. What this means is that Christians can eat meat slaughtered by anyone. WWM reported the recent attack on a mosque in Mwanza, northern Tanzania, has highlighted the area as one [undergoing] pressure from political Islam. More than three years have passed since the murder of a Tanzanian pastor, killed when rioting Muslims protested against Christians working as butchers. Tanzania is believed to have equal numbers of Christians and Muslims, although no official census figures are available. As Muslims are only permitted to eat meat that has been ritually slaughtered, while almost all Christians have no such restraints, it is typically considered acceptable for only Muslims to work in the trade, even though there is no official legislation to enforce this. On 11 Feb. 2013, after Christians in the north-western city of Buseresere had arranged for a non-Muslim butcher to prepare meat for a Christian funeral reception, Mathayo Kachila, the pastor of the local Assemblies of God church, was hacked to death by rioters. For six years before, tension had been building between Muslims and Christians in Buseresere over the issue of animal slaughter. The local government had forbidden non-Muslims from working as butchers, but Christians in the Geita district had begun to do so. When Muslims heard that a non-Muslim was providing the meat for a funeral reception, they began looting Christian butcheries, urinating on the meat, and assaulting other Christian businessmen. Several were injured. Kachila was on his way to a friend’s house, when he was caught in the riot and received fatal machete wounds. Another nine people were injured. Police arrested six suspects, but those cases have since stagnated due to lack of evidence and witnesses. Hundreds of people attended Kachila’s funeral. Although they live in a Muslim-dominated area, it was the first time anything like this had happened there and the Christians were stunned. Following the riots, police arrested and charged two local pastors, Obadiah Mlokozi Madini (who has since died) and Isaiah Rutha Ikiri (now 56), for “slaughtering animals without considering the law on food, medicine and law about livestock diseases”. Their cases lasted for almost two years, before being dismissed early in 2015. But some Christians believe that the eating of halal meat goes against their religious beliefs. There is also an economic element. The halal slaughtering service costs TShs500 (US$0.22) per chicken, 1,500 TShs (US$0.67) per goat/sheep and TShs2,500 (US$1.12) per cow, and customers are issued a receipt from the Tanzania Supreme Council of Muslims, to whom the remittances are paid. Local Muslims also complained over losing income to Christian butchers, as demand for non-halal meat increased and more Christians took up the trade. Qur’an 5:17 and 5:72 labels those who believe in the divinity of Christ kafara — unbelievers, or infidels. And in the context of a holy book that tells Muslims to “fight those adjacent to you of the disbelievers and let them find in you harshness” (9:123), that all too often leads to violence. “Anglican bishop Michael Hafidh of Zanzibar told World Watch Monitor at the time he did not know who had planned and executed the attack” on St. Monica Anglican Cathedral, but it is abundantly clear what the attackers’ belief system was. Since 2010, the cases have been on the increase and Christians and their leaders—many of them originally from mainland Tanzania—say they are anxious. Also Feb. 24, a similar explosive went off at the Mercury restaurant, a popular hangout for western tourists. A day earlier, four people were injured when a bomb was thrown into the Assemblies of God Church in the Founi area of the island. On Feb. 15, in the Tomondo area of the Island, a home-made bomb was thrown at the door of the Adventist Church during a worship service. Christians and Muslims have peacefully shared Zanzibar until 2010, when the Association of Islamic Mobilization and Propagation, a religious movement known as Jumuiya ya Uamsho na Miadhara ya Kiislam, or UAMSHO, began clamoring for Zanzibar’s autonomy. UAMSHO registered in Zanzibar as a non-governmental organization in 2001. In its charter, it declared its aim of aim of establishing Zanzibar as a center of Islamic institutions under Islamic law and free from the United Republic of Tanganyika and Zanzibar, the official name of Tanzania. “Our youth who went for training in Somalia have assured us that before we celebrate the birth of Prophet Mohammed, there will be other ‘celebrations’ about these infidels, that will be a big funeral for them,” said one undated leaflet, in Swahili, that circulated before the attack on Mushi. The leaflets praised attacks on churches, referring to them as “dens of nonbelievers.” They also claimed the group had support from within the Zanzibari government of President Mohamed Shein. Christians on the island also received text messages warning them to leave the country or face death. In September 2013, Rev. Amselmo Mwang’amba, an elderly Catholic priest, was seriously injured when assailants splashed him with an acid. Mwang’amba, who headed the Roman Catholic Congregation of Cheju in the central district of the Island, was attacked as he walked out of a cyber café he frequented…. Tanzania– Suspected Islamic extremists bombed three church buildings on Tanzania’s semi-autonomous island of Zanzibar in February, with one of the blasts injuring several Christians, sources said. A bomb exploded near the door of the Evangelistic Assemblies of God Zanzibar (EAGZ) church building on Feb. 23 in Kijito Upele-Fuoni, outside Zanzibar City, just before the end of the service at about 1:15 p.m., according to area Christian leader Lucian Mgaywa. The loud explosion shook the building on the island 16 miles (25 kilometers) off the coast of Tanzania, a church member said. Police from Fuoni began investigating, and officers from the mainland’s Dar es Salaam arrived and collected the broken metallic and glass pieces. Liquids in some of the bottles turned out to be highly acidic, Mgaywa said. “The gloves that the policemen wore caught fire, but no one was hurt,” he said. The next day, Feb. 24, at about 2 p.m., another bomb exploded at the entrance of Christ Church Cathedral, an Anglican church building in the historic city center known as Stone Town. Tourists often visit the site, but no one was near at the time of the explosion. Anglican officials said the bomb, detonated remotely, did no damage to the structure. Police have arrested one person in connection with the bomb attack; his name was not released at press time. In the Tomondo area about four kilometers away from Stone Town, a home-made bomb was thrown at the door of a Seventh-day Adventist church on Feb. 15 during a worship service at 11 a.m. Another such bomb landed at the doorway the next day at around noon. There were no reports of injuries. A church leader reported the incidents at the Mazizini police station in Zanzibar City. Officers found pieces of broken bottles at the site. The head of the Zanzibar Pastors’ Fellowship, Fabian Obed, said he was very concerned about the bomb attacks. “We urged the government to take serious measures at the series of bomb attacks targeting churches here in Zanzibar in the past few days, because worse things will follow soon if nothing is done swiftly,” Obed said. In the tourist area of Malindi on the Zanzibar seashore, a bomb exploded near the Mercury Restaurant coast on Feb. 24, the same day the Anglican church building was bombed. The explosion, which hit at about 1 p.m. damaged the wall of the building but no injuries were reported. The separatist group Uamsho or “Awakening,” the Association for Islamic Mobilization and Propagation, has threatened Christians since 2012. An Islamist group fighting for full autonomy of the Zanzibar archipelago from Tanzania, Uamsho arose after Zanzibar’s primary opposition, the Civic United Front, formed a government with the ruling Chama Cha Mapinduzi party in 2010. On Sept. 13, 2013, suspected Muslim extremists threw acid on the face and chest of a Catholic priest, the Rev. Joseph Anselmo Mwangamba, as he stepped outside an Internet café on the outskirts of Zanzibar City. Suspected Islamic extremists on Feb. 17, 2013 shot and killed the Rev. Evaristus Mushi, a 56-year-old Roman Catholic priest, in the Mtoni area outside Zanzibar City. On Dec. 25, 2012, suspected Islamic extremists shot the Rev. Ambrose Mkenda, a Roman Catholic priest, through his cheeks and in the shoulder as he arrived home in Tomondo. Members of Uamsho were suspected. A Christian youth leader has been murdered in Tanzania and two others seriously injured. World Watch Monitor reports at about machete-wielding assailants attacked the men during an all-night worship service at Gilgal Christian Worship Center and started cutting them on different parts of their bodies. The incident occurred on Oct. 22 around 1:00am in an area known as Pasiansi in the Ilemela district of Mwanza province, near Lake Victoria.. The man killed was identified as Elias Lunyamila Meshack, a 35-year-old youth leader. The members of Gilgal Church described him as a good man and said his death has caused great sadness. The bishop of the church said the motive of the attack is unclear, but it was not a robbery. “I don’t think this was robbery because the aim of robbers is to steal money and other items, yet nothing was stolen here,” Bishop Eliabu Sentozi reportedly said. The incident comes as the latest in a string of attacks on churches and pastors across East Africa, with two pastors in Kenya killed on the same day. 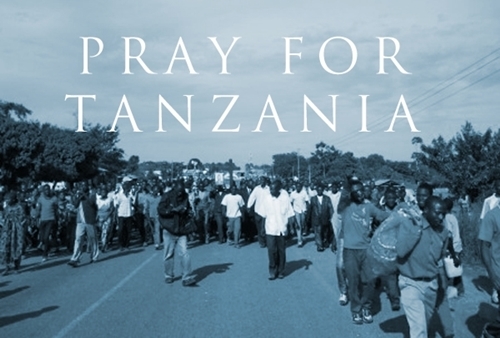 Christians in Tanzania have been victims of Muslim persecution over the past few years. Several pastors and church members have been killed, while other believers have suffered acid attacks. 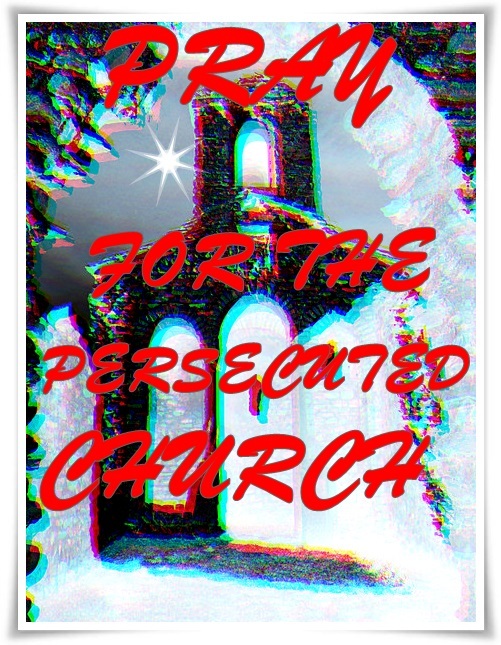 Churches have been bombed or torched and properties have been destroyed. A Roman Catholic priest in Zanzibar has received treatment in hospital after attackers threw acid at him on a street in the island’s capital, police say. Elderly priest Joseph Anselmo Mwagambwa was attacked as he was leaving an internet cafe in the island’s old town. It follows a similar attack on two young British women there last month. Tensions between the majority Muslim population and Christians have been on the increase in recent years, as well as on mainland Tanzania. “He sustained burns in his face and shoulders. The acid burnt through his shirt,” Zanzibar police spokesman Mohamed Mhina told Reuters. Tanzanian police say they are searching for witnesses to the attack which occurred in the old part of Zanzibar City, Stone Town, on Friday afternoon. It is the latest in a series of assaults on religious figures in the country and the fifth acid attack since November, when a Muslim cleric was hospitalised with acid burns. In a sign of further tension, a Catholic priest was shot dead in February. The attack on the British girls in August occurred in the same part of Stone Town. Zanzibar’s President Ali Mohammed Shein said the assault had “brought chaos and confusion to our country and outside”. Zanzibari officials offered a £4,000 ($6,000) reward for information leading to the arrest of the suspects. A popular tourist destination, the acid attacks came as a shock to many residents of Zanzibar who say attacks on foreign travellers are rare. Police say no suspects have been arrested over the attack on the priest. 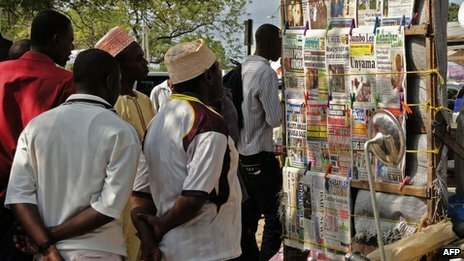 Tanzania has banned religious hate speech in all its manifestations as the result of a two-day interfaith meeting held in Dar es Salaam that concluded Thursday (May 9th). Dar es Salaam Regional Commissioner Saidi Meck Sadiki told Sabahi that the decision was reached by religious leaders as a way to restore peace. The directive also extends to people who sell cassettes or other recordings that contain hate speech, he said. “Selling instigating cassettes is as good as selling drugs. We will arrest anyone [disseminating hate speech] unselectively,” he said. He said loud speakers in churches and mosques are limited to inviting people to worship, and if they are used to insult other religions, police will not hesitate to arrest the instigators. Dar es Salaam Special Zone Police Commander Suleiman Kova said religious leaders have asked police to maintain law and order, and therefore officers are going to dedicate themselves to finding those who want to cause unrest in the country. “From today, the Tanzania Police Force has formed a special unit that will use ICT (information and communications technology) to monitor online communication,” he told Sabahi on Thursday. “We will monitor Twitter, Facebook, YouTube, Jamii Forums and even SMS [text messaging] from your mobile phones that are propagating hate speech and bring those responsible to justice,” he said. Muslim and Christian leaders in Tanzania urged the government to use law enforcement as a quick solution to ease religious tension in the country, according to a joint statement issued Thursday after the interfaith meetings in Dar es Salaam. Among the statement’s 16 recommendations is the contentious issue of slaughtering rights that has sparked violence in Tanzania over the past year. He said the rules for slaughtering have been determined and do not infringe any faith, and will soon be made public by religious leaders. As a part of the solution, religious leaders said the rules for slaughtering animals and birds should be discussed by religious leaders using the Bible and Qur’an as guidance. It also urges religious leaders to refrain from uttering divisive statements before the public. The statement urges religious leaders to engage in religious debates with respect for other faiths, to introduce religious teachings at the primary school level, maintain interfaith relationships, and encourages parents and religious leaders to educate youth on the importance of maintaining peace. It also recommended job creation as a way of reducing idle time for youth, and said that government and religious leaders should meet together twice a year, religious complaints should be resolved quickly whenever they arise, and religious leaders should meet with the press regularly to talk about maintaining peace in the country. Bishop Charles Salala of Africa Inland Church attended the two-day meeting and said he supports the recommendations, especially the role of parenting. Dar es Salaam Muslim leader Sheikh Alhad Mussa Salum said such meetings should be held regularly and leaders should implement the agreements in their congregations immediately.